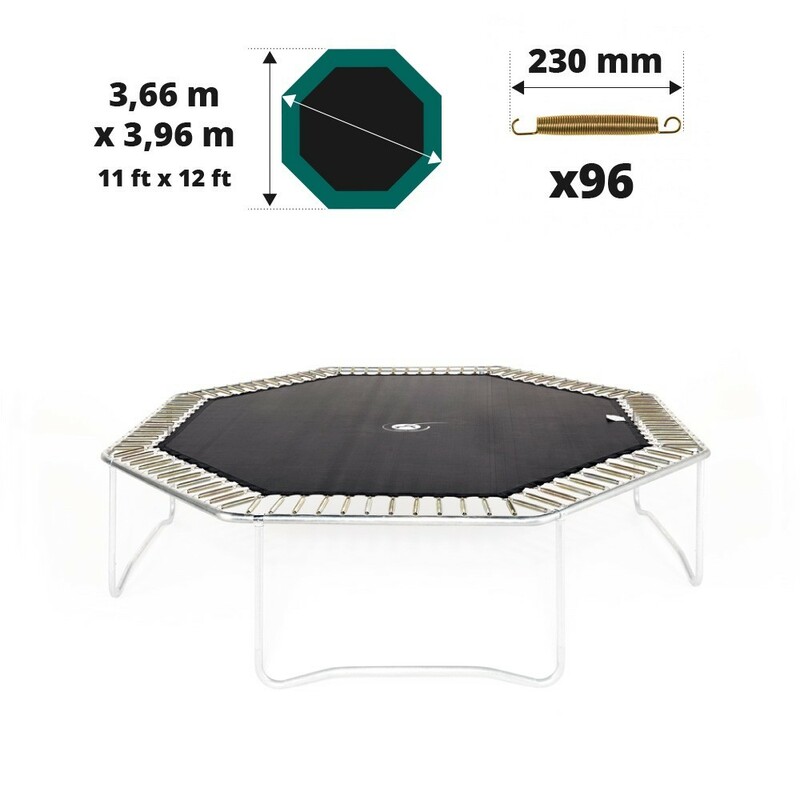 Spare jumping pad for your Waouuh 390 trampoline. 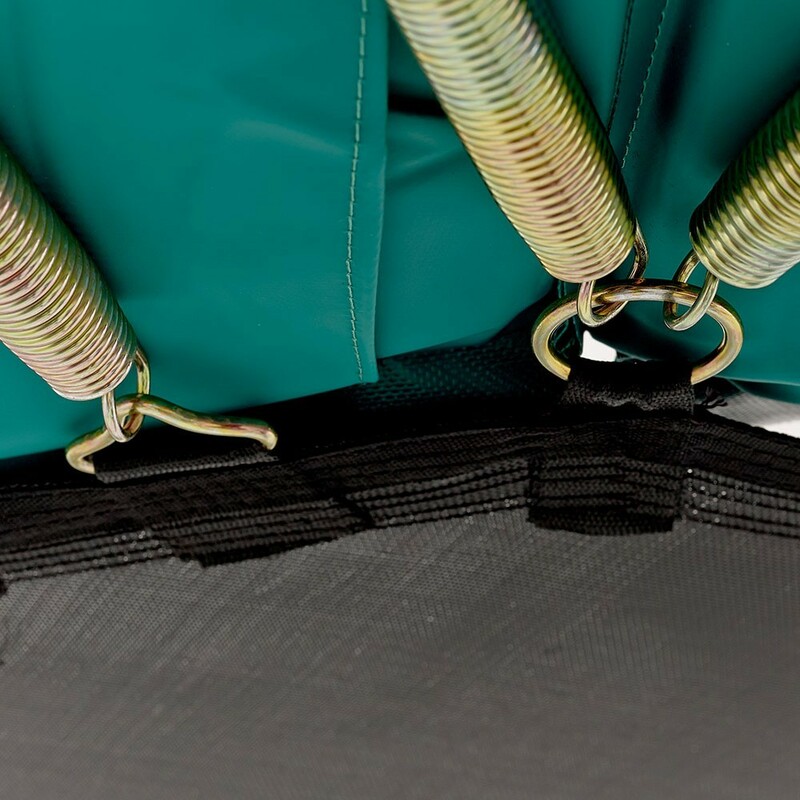 When your jumping mat is damaged, it is essential to replace it. 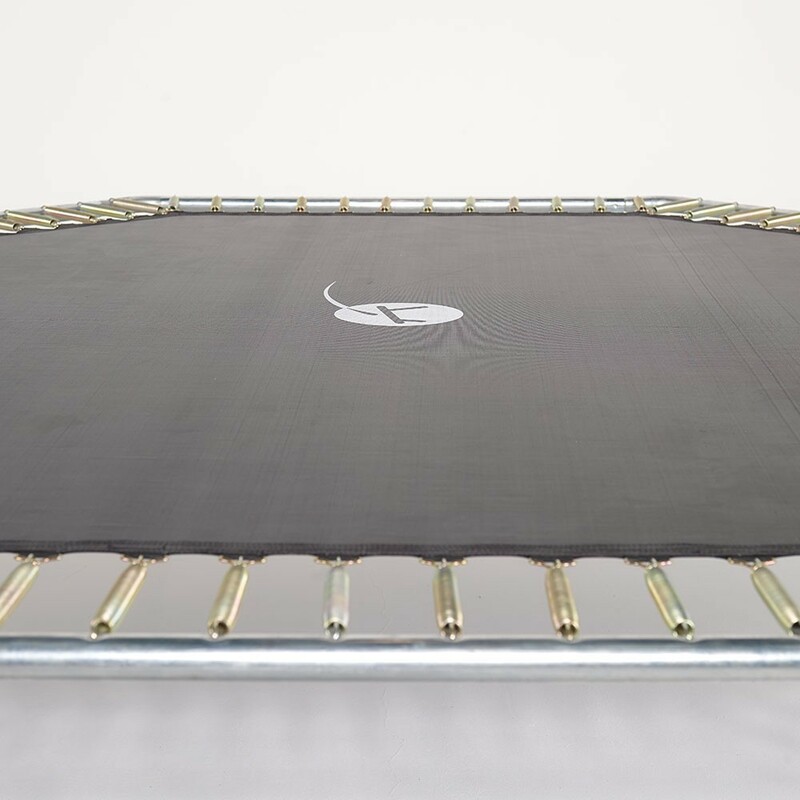 This jumping mat is adapted to octagonal trampolines measuring 3.96 m by 3.66 m with 96 springs of 230 mm, whether they are from France Trampoline’s brand or not. 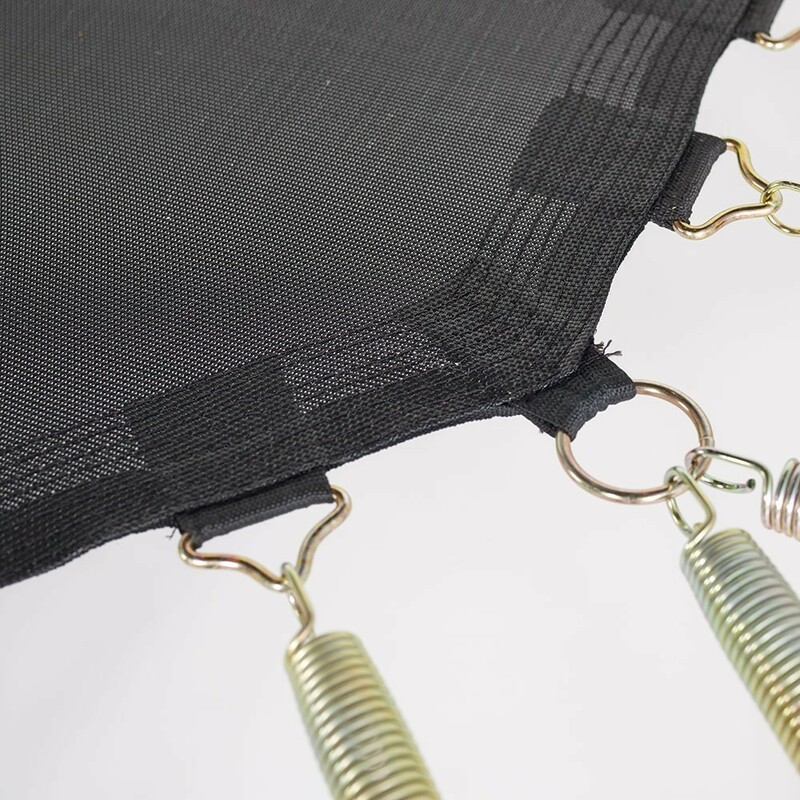 - This jumping mat was initially designed for the Waouuh 390 model; it will however fit any trampoline with the same characteristics. 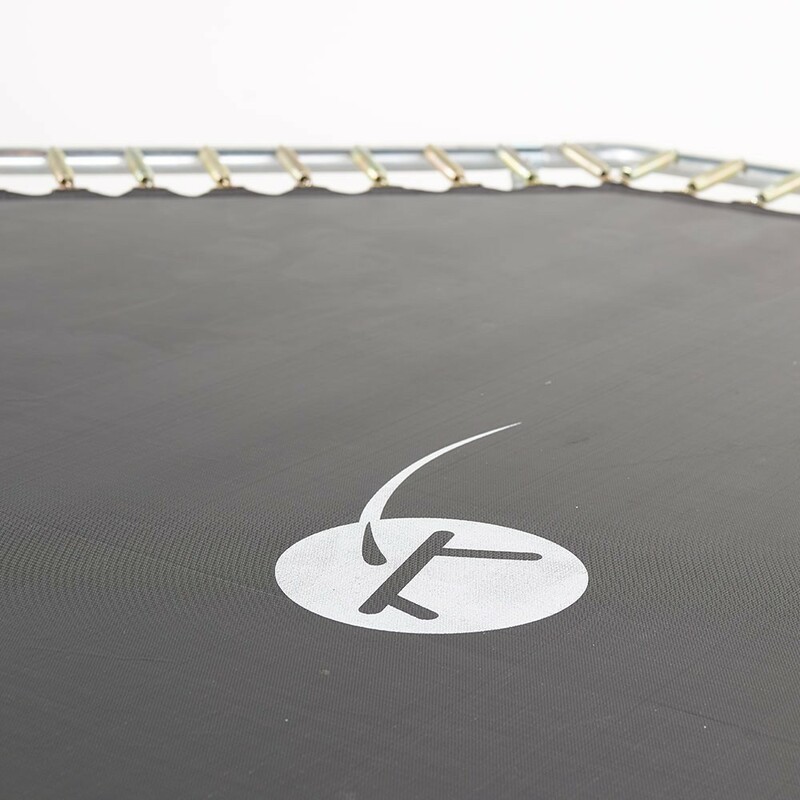 It is imperative to measure your trampoline before ordering, in order to choose the right jumping mat. 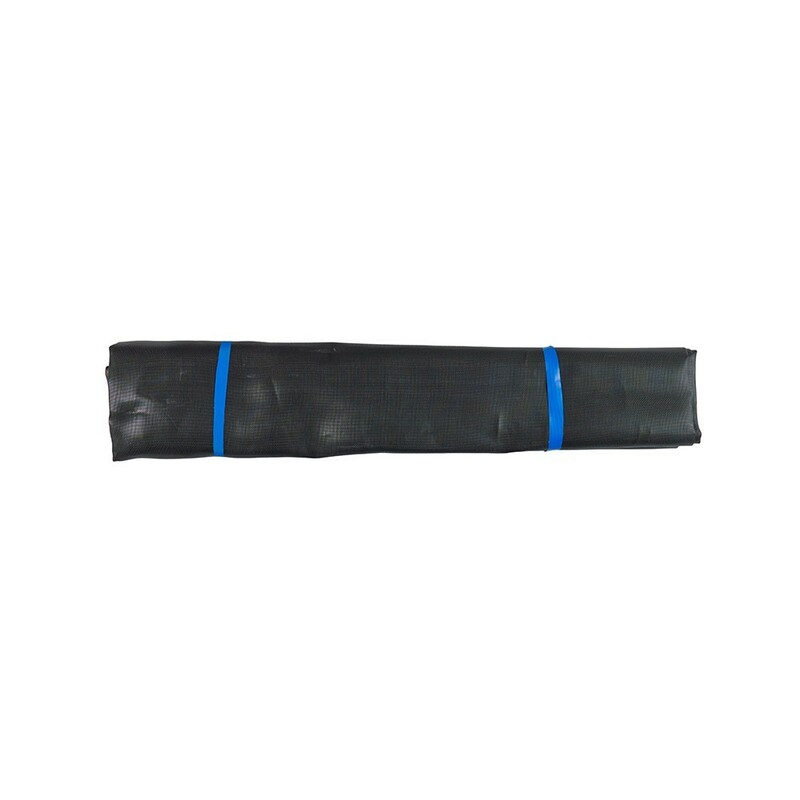 - It is made from high density, resistant mesh fabric. A UV protective coating protects it from sunlight and guarantees extra durability. 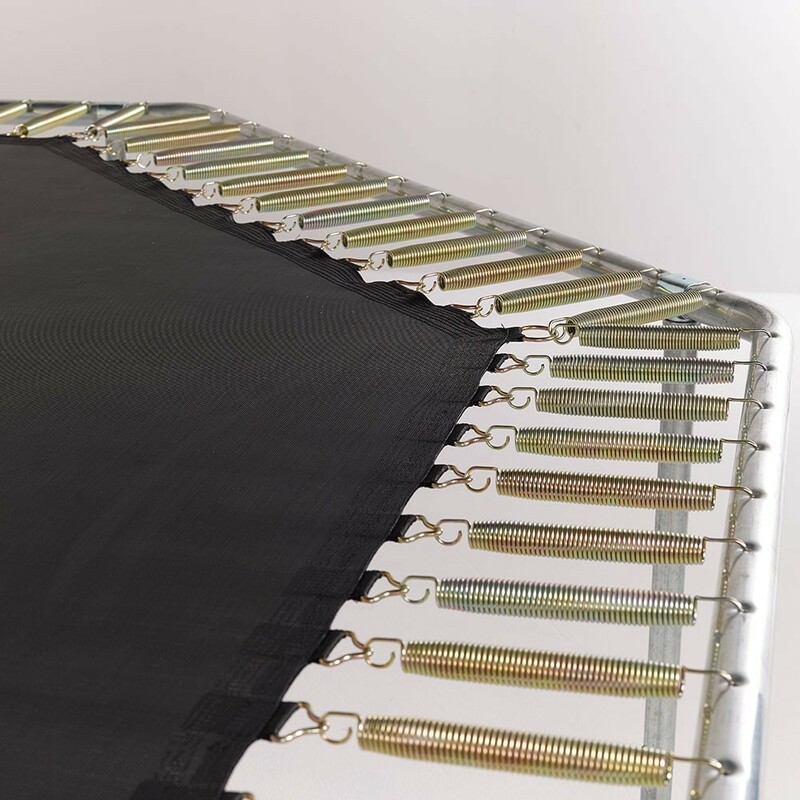 - Steel rings are anchored at the end of 8 rows of stitches, compared to 6 commonly used on other trampolines on the market, to which a reinforcement strip is added, ensuring solidity. These rings have been hot-dip galvanised to protect them from rusting. 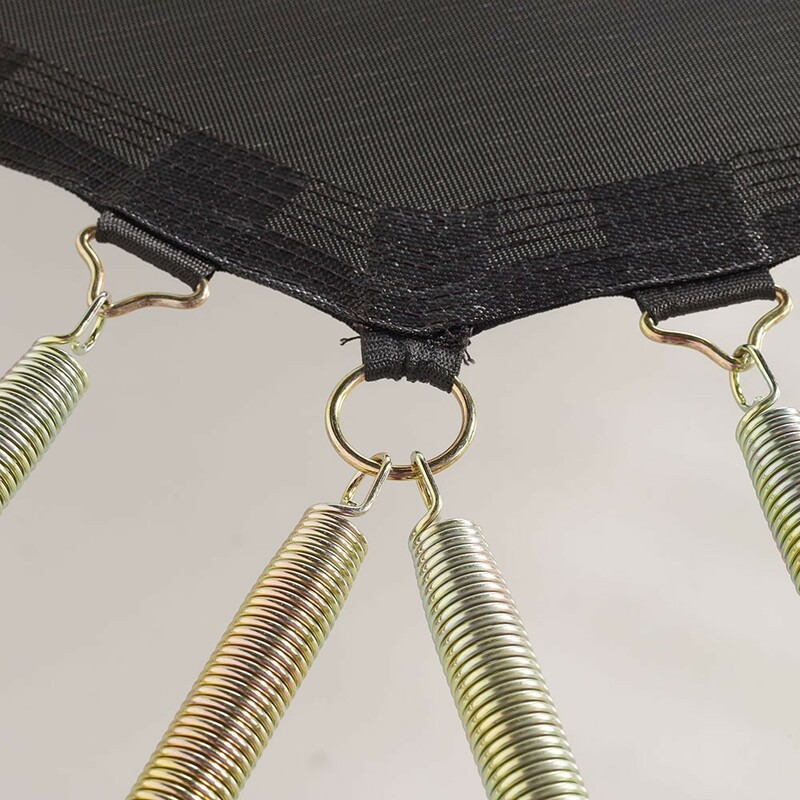 - Adapted to the Waouuh 390 trampoline measuring 3.96 m by 3.66 m with 96 springs of 230 mm, or any other trampoline with the same characteristics, this jumping mat will give your trampoline back its original power. 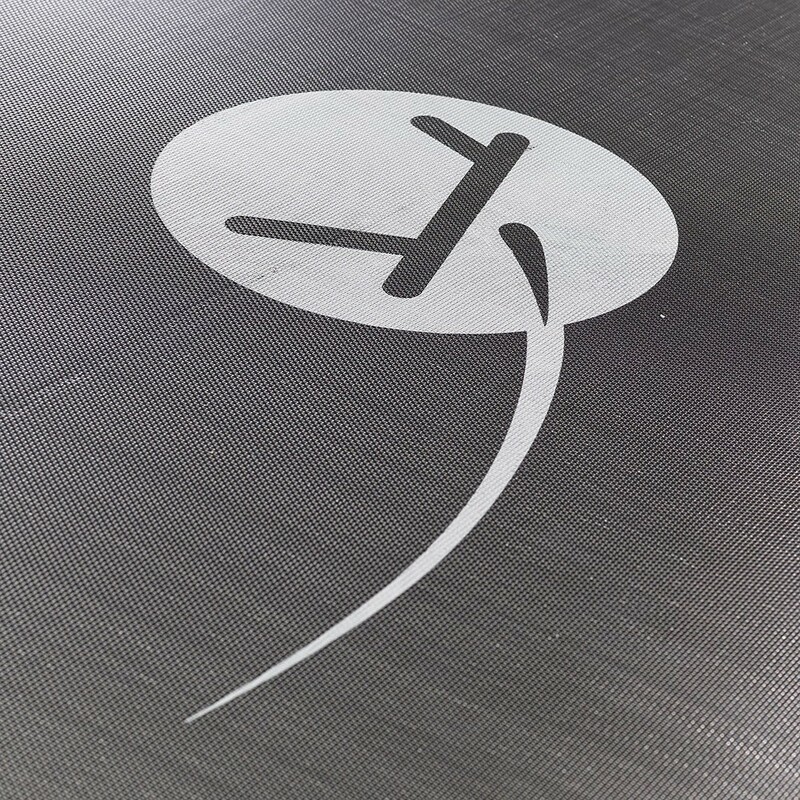 However, it is not adapted to trampolines with springs shorter or longer than 230 mm in length. 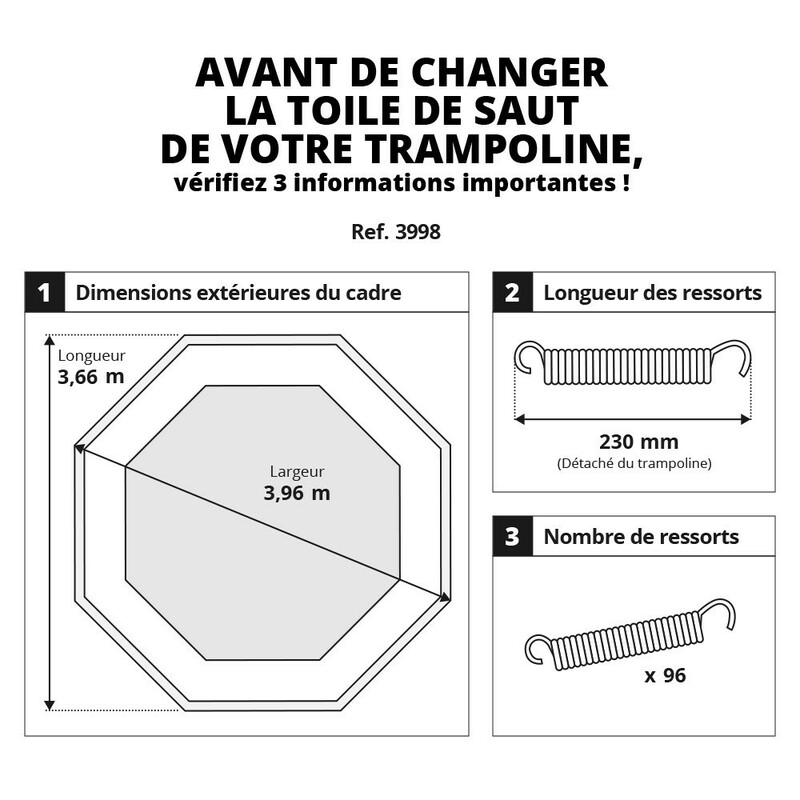 To get your order right, you should measure your springs precisely. Remove a spring by pressing firmly down in its centre. Measure the spring from hook to hook.